These volleyball medals will be a big hit at your next volleyball tournament! 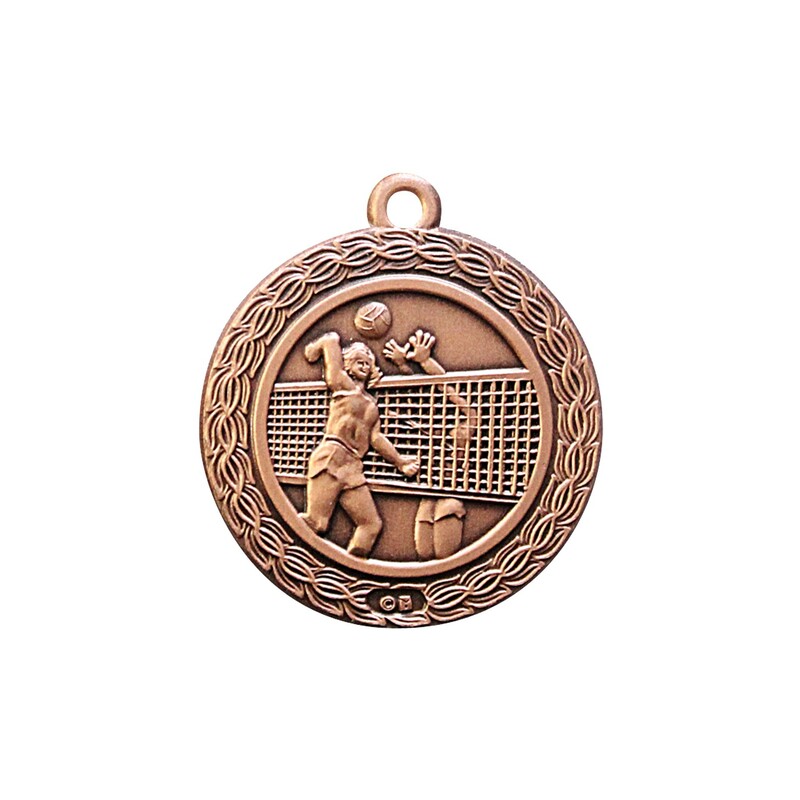 The Small Premium Female Volleyball Medallions come in your choice gold, silver, or bronze (pictured) and measure 1.35 inches in diameter. It depicts two opposing players in the middle of a spike/block. 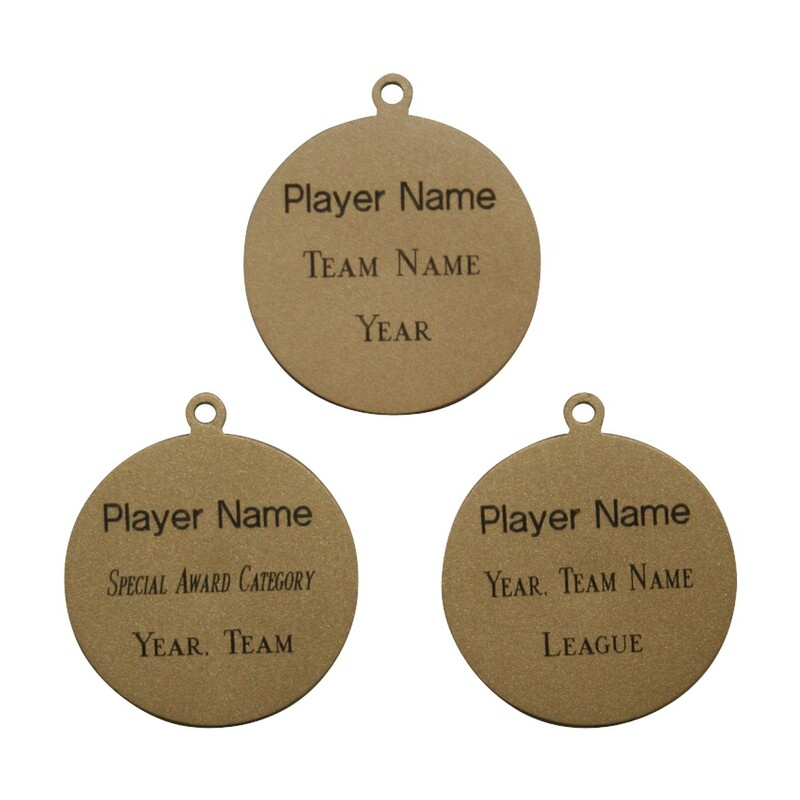 Personalize with three lines of free darkened engraving! 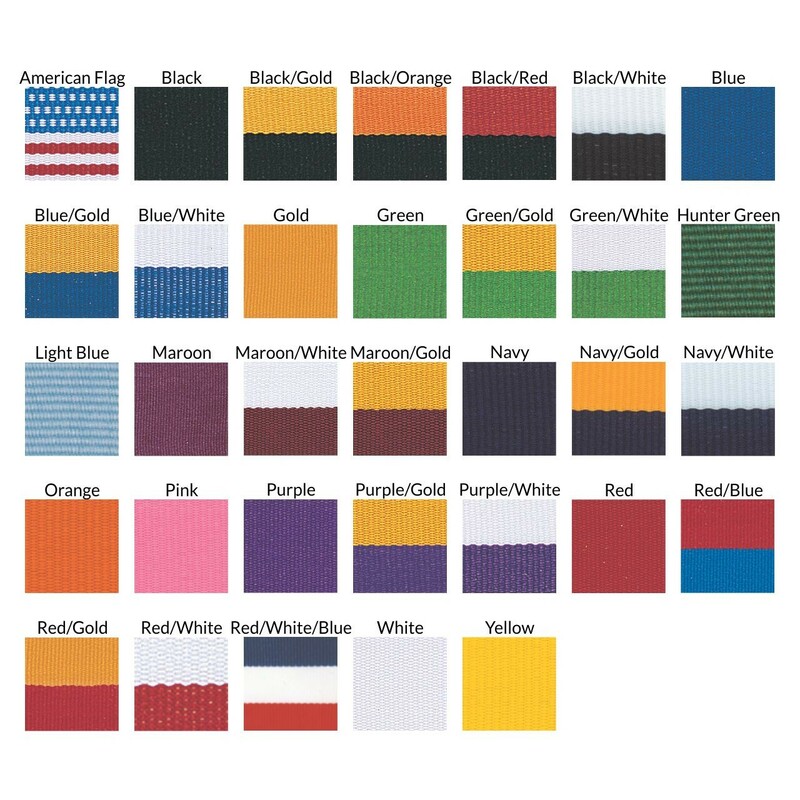 Display on a neckdrape in your choice of color or a keyring.